The award-winning author of The Eichmann Trial and Denial: Holocaust History on Trial gives us a penetrating and provocative analysis of the hate that will not die, focusing on its current, virulent incarnations on both the political right and left: from white supremacist demonstrators in Charlottesville, Virginia, to mainstream enablers of antisemitism such as Donald Trump and Jeremy Corbyn, to a gay pride march in Chicago that expelled a group of women for carrying a Star of David banner. Over the last decade there has been a noticeable uptick in antisemitic rhetoric and incidents by left-wing groups targeting Jewish students and Jewish organizations on American college campuses. And the reemergence of the white nationalist movement in America, complete with Nazi slogans and imagery, has been reminiscent of the horrific fascist displays of the 1930s. Throughout Europe, Jews have been attacked by terrorists, and some have been murdered. Where is all this hatred coming from? Is there any significant difference between left-wing and right-wing antisemitism? What role has the anti-Zionist movement played? And what can be done to combat the latest manifestations of an ancient hatred? 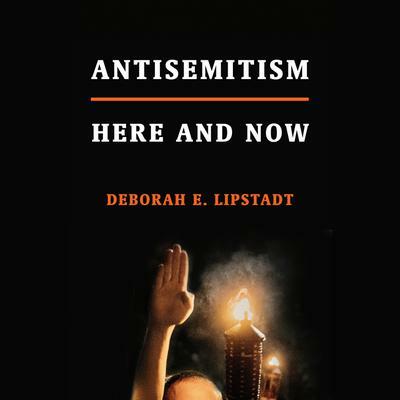 In a series of letters to an imagined college student and imagined colleague, both of whom are perplexed by this resurgence, acclaimed historian Deborah Lipstadt gives us her own superbly reasoned, brilliantly argued, and certain to be controversial responses to these troubling questions.